Indiana, Illinois Agree to Deal: The players apparently knew they were on the trading block, so it did not surprise one of them when he learned that he had been traded to Indiana. "Got my bags packed already," Aparicio said, when reached for comment. The MySportsObsessions will receive 34-year-old first baseman Paul Konerko and 21-year-old reliever Chris Sale, while 30-year-old third baseman Joe Crede and 38-year-old shortstop Luis Aparicio will go to the Illinois JediJeffs. That trade is reflected in the current Manager/Player list. And, I got the game to actually skip to Opening Day!! * Tomorrow, we look at Opening Day match-ups and more! Meanwhile, Let's bust some wax! Not a bad split! We went 50/50 Free Agents-to-Owned. Congratulations to everyone that pulled cards from this pack. I have to say, that chrome mini is a neat little specimen of cardboard. I hop I pull more of those as we bust packs. 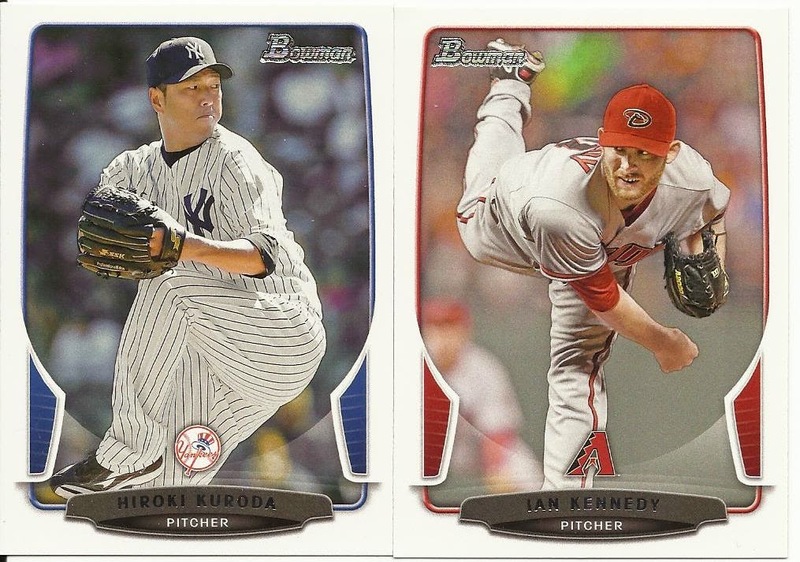 Er, I'll have to buy more 2013 Bowman first. When reached for comment, general manager Hugh Jass from the Illinois JediJeffs, stated "the direction of this ballclub is to find the players that gel together. We appreciate the contributions of Chris and Paulie, and wish them well in Indiana. We look forward to shoring up the left side of the infield with the talent that Joe and Luis will bring. Well we are pleased with the current makeup of our roster, we will not rule out further moves or signing available talent that will push us into the post season." #PackADailyCircus - Draft Day is here again! #PackADailyCircus - Our First Free Agent Draft! #PackADailyCircus #ootp14 - Opening Day!